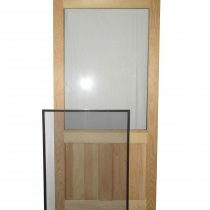 This is a wooden 1-lite glass storm door made out of white pine. White Pine wood is more economical and lighter than Mahogany. 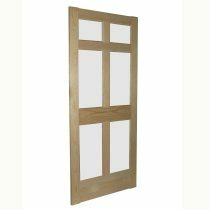 White Pine doors are ideal if the door will be primed and painted instead of stained and there is an overhang over door to protect door from weather. 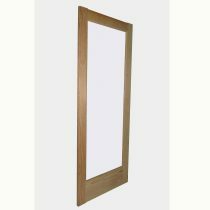 This is a wood 6 lite glass storm door made out of beautiful African Mahogany hardwood. 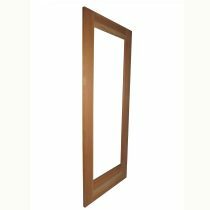 African Mahogany wood is denser and more structurally stable than pine. 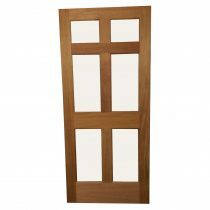 The Mahogany doors are ideal if the door will be stained instead of painted or if there is little overhang to protect door from weather.